Occupier Pms Son: "no Peace İn Israel Until All Muslims Leave"
›Occupier PM's son: "No peace in Israel until all Muslims leave"
Occupier PM's son: "No peace in Israel until all Muslims leave"
All Muslims living in Israel should leave the country for there to peace, occupier Israeli Prime Minister Benjamin Netanyahu's eldest son Yair said on Facebook. "There will not be peace in here until: 1. All the Jews leave the land of Israel. 2. All the Muslims leave the land of Israel. I prefer the second," Yair said on a Facebook post on Thursday. Facebook deleted the content, but Netanyahu again shared a screenshot of the original post and criticized the social media platform as "thought police" on Sunday. Facebook then blocked Netanyahu for 24 hours over his violation of its community guidelines. Yair's previous scandal was back in May when he posted a story on his Instagram account showing an image that read "F… Turkey" written on a Turkish flag with the crescent and star forming the "c" in the f-word. In January, Israeli media published recordings that showed Yair joyriding at the expense of taxpayers to Tel Aviv strip clubs with his super-rich buddies, bragging how his father pushed through a controversial gas deal. 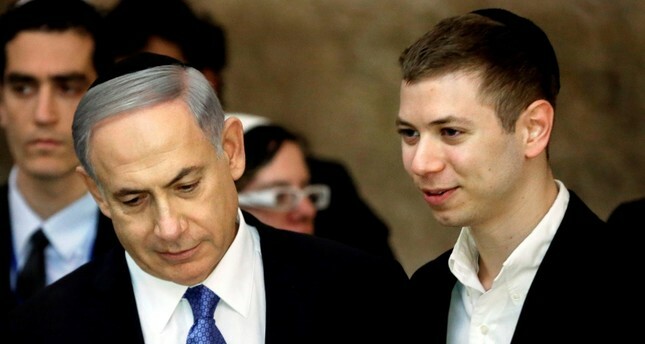 It's not only Yair in the Netanyahu family who is involved in scandals. His father and prime minister Benjamin and his mother Sara are implicated in bribery charges.